Wedding season is a fashion extravaganza. 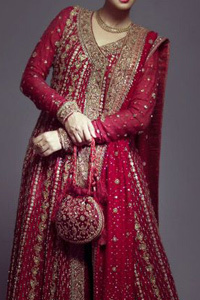 Explore the innumerable world of wedding Lehengas dotted with elegance, glamour and liveliness. 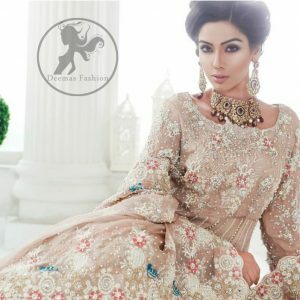 A smart shift from the traditional wedding attire of Pishwas and Choli, wedding Lehengas definitely make the cross from delight to ethnicity with a hint of unfussiness.Mostly preferred by brides and bridesmaids are the Lehengas are stitched specifically for the occasions like Mehendi, Mayon, Barat and Reception. 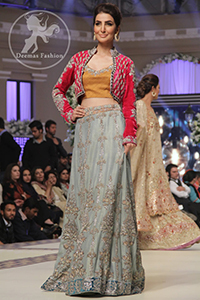 With so many events to look good in, wedding Lehengas fit perfectly as far as comfort and look are concerned. 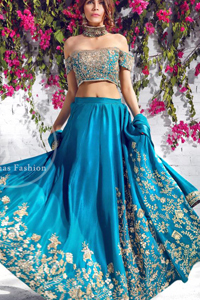 Available in over 50 different fabrics, each wedding Lehenga at the Deemas Fashion is designed exclusively for one delicate curve.Embrace the sweet and sublime concoction of modish fashion and ethnicity. 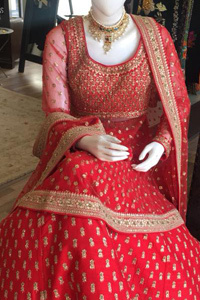 Choose from hand-crafted bridal Lehenga Cholis, lehenga Pishwas, wedding and party Lehengas and backless Lehengas to HIJAB Supported woven in cotton, silk, chiffon, georgette and crepe. 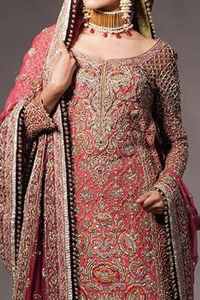 Designed by experienced Lehenga Designers, expect a treat for your eyes while shopping from more than 1000 wedding Lehenga sets. From delicate Back Trial Lehengas to the cross-fashioned mermaid Lehengas, the Deemas Fashion always brings only the best in fashion.